Boss Key Studios, the developer hatched by former Gears of War stalwart Cliff Bleszinski, is gearing up to launch its PC arena shooter LawBreakers, and the studio is now welcoming sign-ups for the imminent alpha test. Word of the testing period comes hand-in-hand with an all-new trailer for the new IP, revealing the “futuristic, rebuilt America,” where LawBreakers takes place. In this warped version of reality, “chaos has a face,” and the slick, gravity-based combat will have players choosing to kill for the nobility of the Law – hence the title – or side with the rogue Breakers. Most, if not all of America’s key landmarks have been ravaged by the futuristic warfare, too, with today’s trailer revealing a battle-scarred Grand Canyon and Mount Rushmore. Having recently ditched its freemium business model, LawBreakers will be releasing onto PC platforms later this year as a fully-priced product. Those in North America should note that in-game cosmetics will be offered via microtransactions, but they won’t have any bearing on gameplay or character attributes. 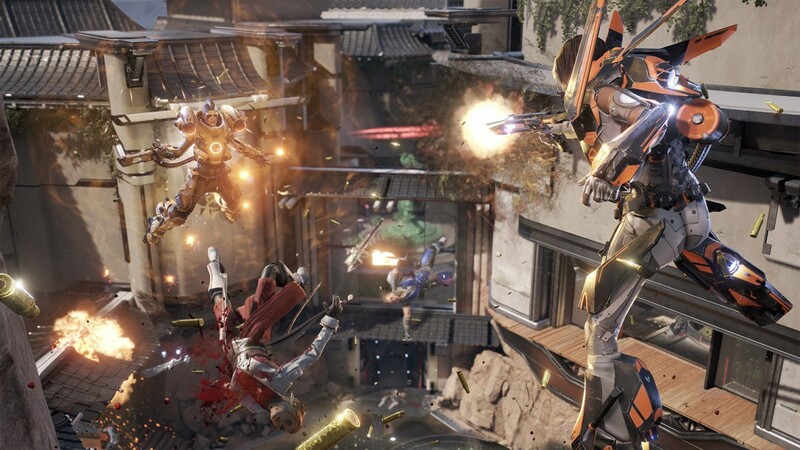 LawBreakers is due to premiere via Steam at some point later in 2016. For the meantime, you can feast your eyes on some of the shooter’s action shots via the gallery below. Lastly, Boss Key Studios’ title will be in attendance at PAX East this coming weekend.